You know it’s that time of year again when the Got Craft? 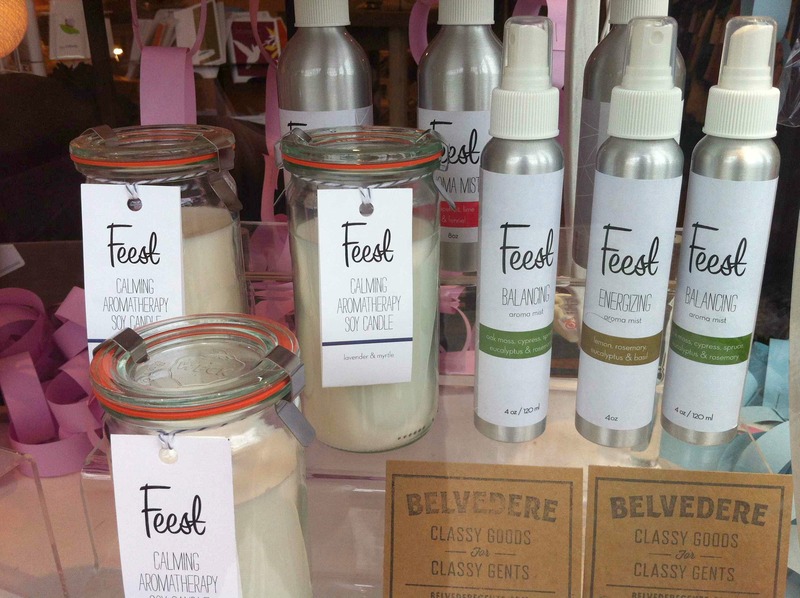 window display pops up at Barefoot Contessa! A big thank you to the lovely ladies at Barefoot Contessa for always creating such a stunning display. We couldn’t be happier with all of their hard work as well as to all the vendors that took the time out of their busy holiday prep schedules to participate. The images above are just some of the sneak peeks that I took during the set up. Stop by the Barefoot Contessa at 1928 Commercial Drive in Vancouver to see a fine selection of handmade items you will find at the show! 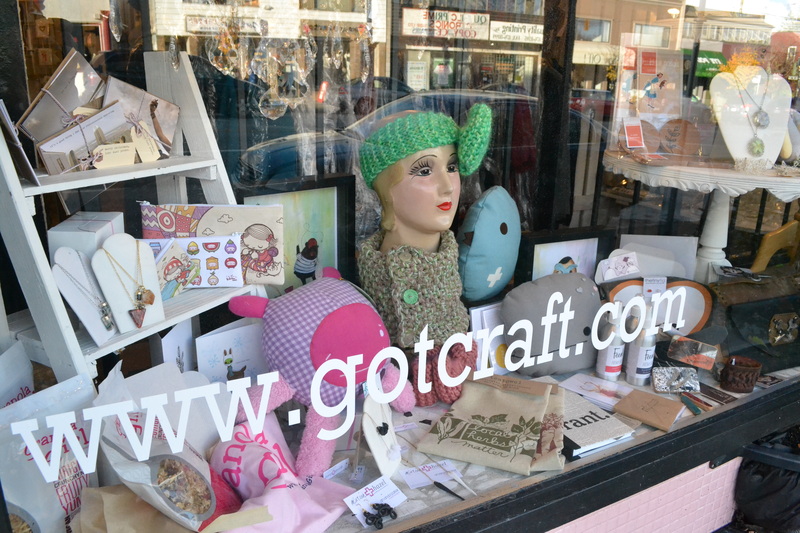 You know it’s that time of year again when the window displays at Barefoot Contessa on Main Street and Commercial Drive are taken over with handmade goods from Got Craft? vendors! I spy… LanaBetty, Twig Prints, Locomotive Clothing, Feest, Robbie Vergara Screenprinting, The Rice Babies, Track and Field Designs, cabin + cub, Belevedere, and Lisa Wine Studios to name a few. You’ll just have to pop by and check out your favourite designers yourself or better yet, see you at the Royal Canadian Legion on Commercial Drive this Sunday, May 6th! Thank you to Eva, Gordon, and the BC ladies for making everything look so wonderful! We truly believe it takes a village and Got Craft? is no exception. Sending out big hugs and hi-5’s to our friends and sponsors today, because we truly couldn’t produce one of the most anticipated craft fairs in Vancouver without you! 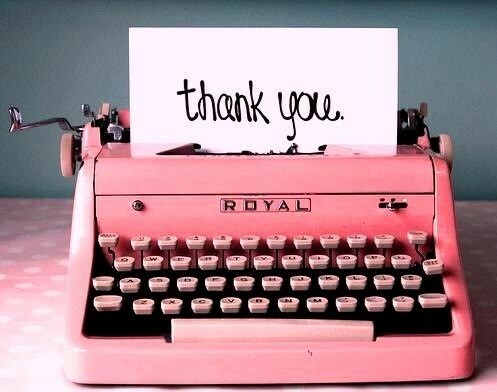 (in no particular order) Poppytalk, The Beautiful Project, [stu-d-io] by jeanie, Scout Magazine, ArtsyDartsy, Spool of Thread, Matchbox Creative, Locomotive Clothing, delish magazine, Cargoh, Stephanie Salido, Barefoot Contessa, Blue Olive Photography, Samantha Wagner, and the pauhaus. The Got Craft? 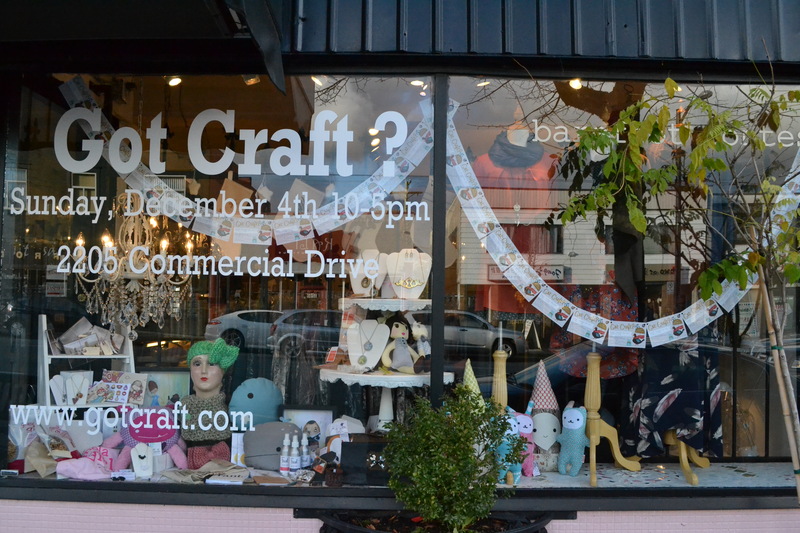 window displays are back at Barefoot Contessa just in time for the holiday show coming up on Sunday, December 4th from 10:00am to 5:00pm at the Royal Canadian Legion on Commercial Drive, Vancouver (2205). Thanks so much to Eva, Lauren and Kris for all of their hard work! If you are in the Vancouver area, please pop on by to Barefoot Contessa and check out the goodies in person at 3715 Main Street or 1928 Commercial Drive. 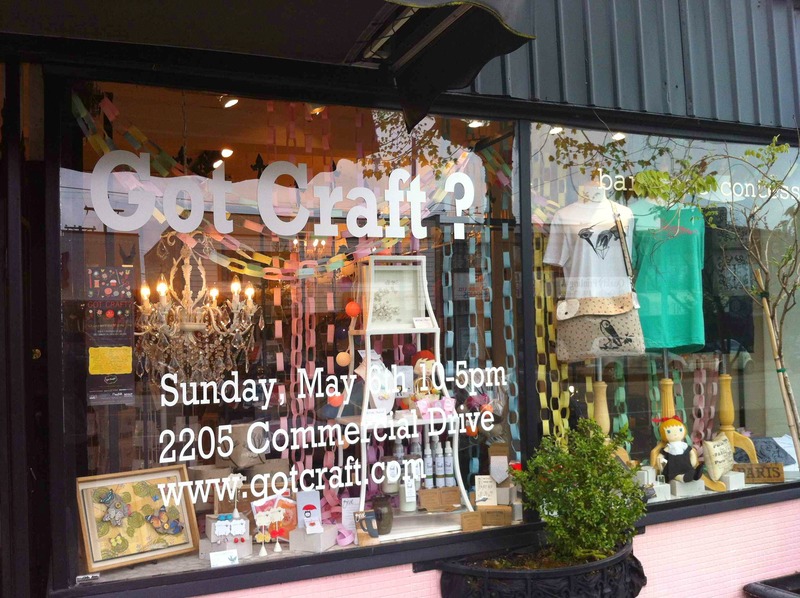 For part two of our Vancouver, British Columbia city guide, we visit the Main Street and Fraser / Kingsway part of town for a few of my favourite spots for crafty supplies and indie craft goods. Like any busy city, there may be a shop or cafe that is missing from the list. Please feel free to leave a comment below with your suggestions! Focused towards children aged 3 to 12 years old and those young at heart, a one stop shop for supplies, books, kits, handmade goods and workshops. Check their website for special events and art installations. One of the only places in Vancouver for modern and Japanese fabrics. Workshops and drop in sewing stations are also available. Filled to the brim with handmade delights, owner, Karen is passionate about supporting local artists by carrying handmade creations within a 100km radius. 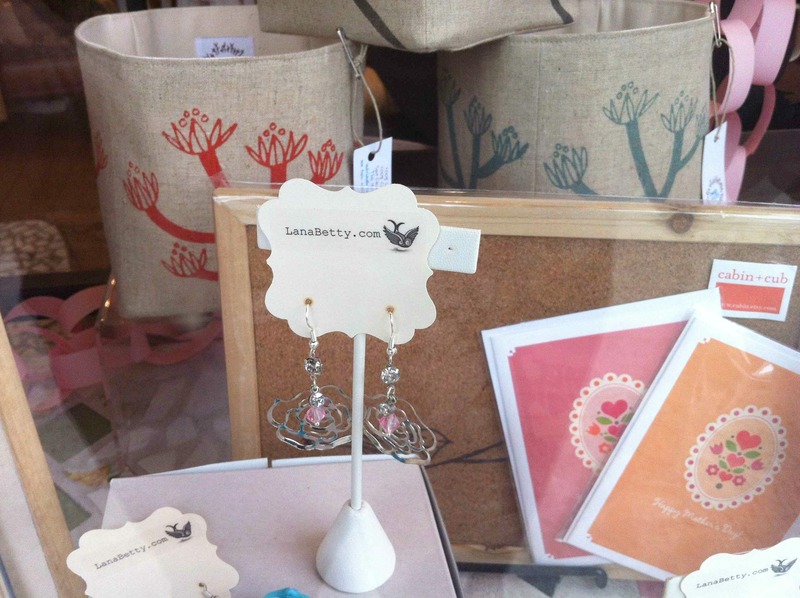 You can find lots of local work from artists such as Firefly Notes, Earthgirl Aromatherapy and a cagey bee to name a few. 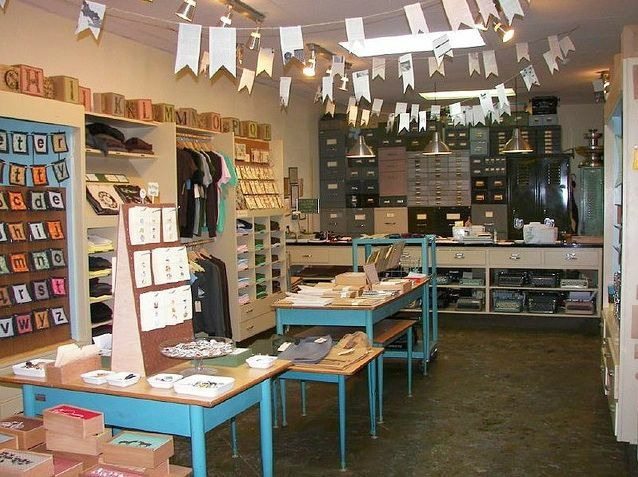 Super sweet shop filled with handmade goods and indie craft finds. 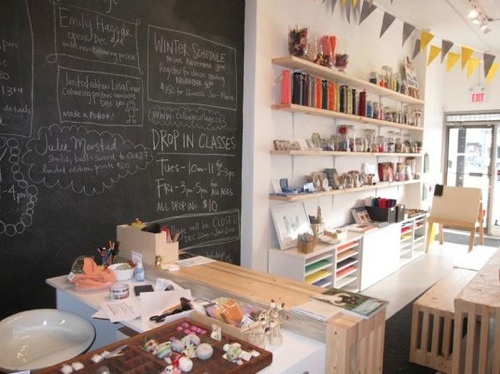 Find lots of handmade goods by owners Rebecca and Brandy including a button making station, letter writing club and the lowercase reading room. 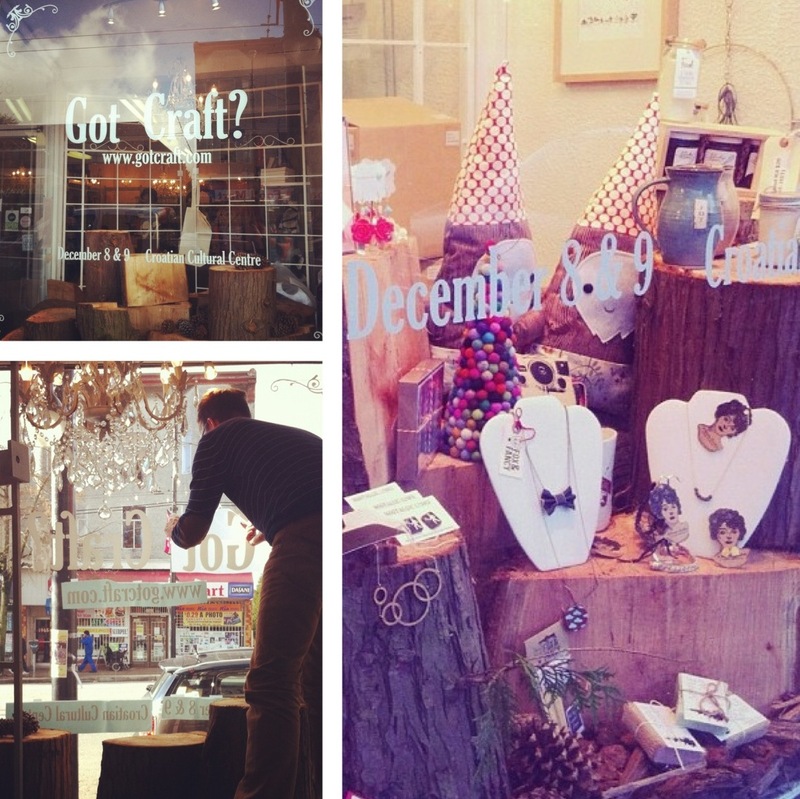 Check out my write up on DIY Vancouver Granville Online. 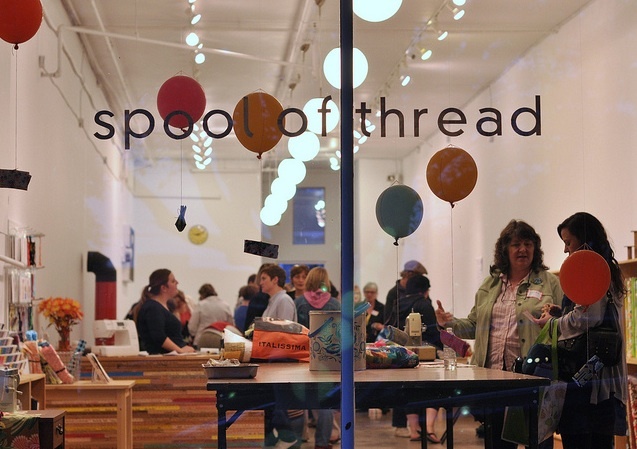 A knit shop filled to the brim with lovely yarn such as favourites from Two Sisters Stringworks formerly known as Yummy Yarn and Sweet Georgia Yarn. Owner and designer, Stephanie Ostler, hand makes her own clothing, lingerie and accessories on-site. 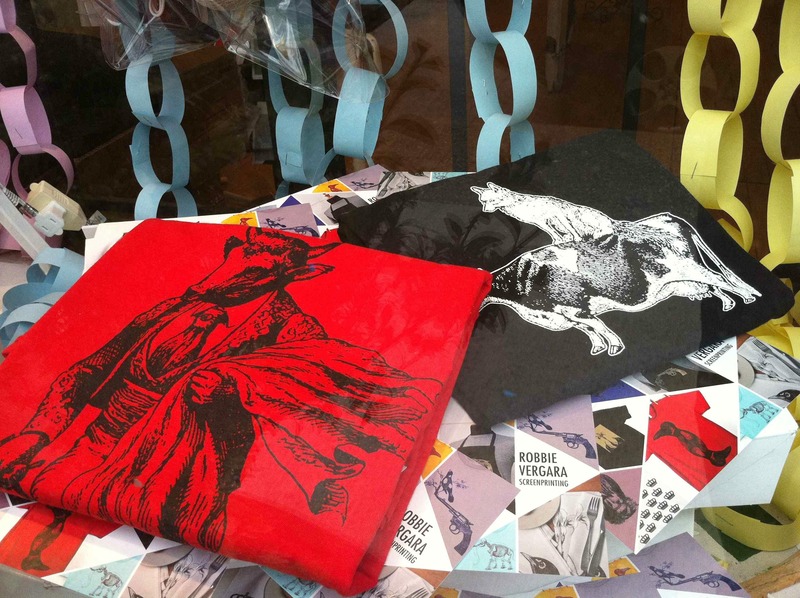 Check out her wares and other local artists’ goods at the newly expanded store 2 blocks down from their original location. Run by two sisters, Plush on Main is a studio / work room at the back and retail shop at the front. As of early this year, they carry locally made gifts from almost twenty artists mostly from the lower mainland and comprised mainly of women. 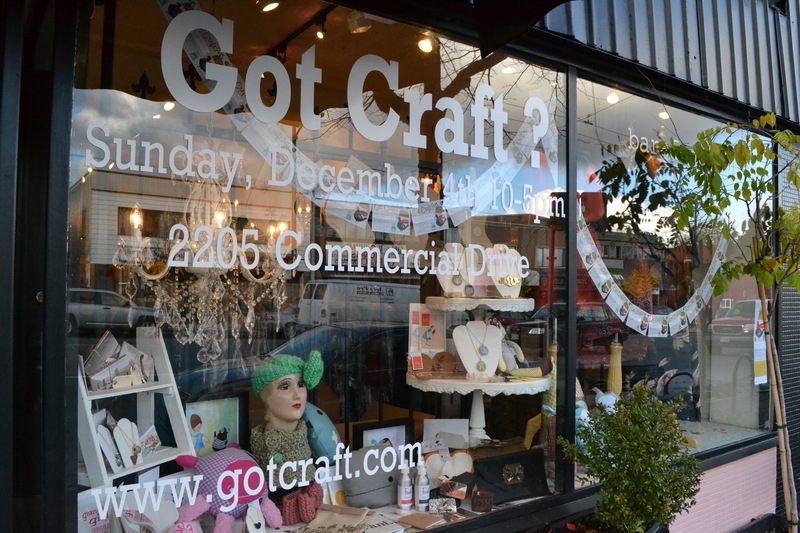 Both past Got Craft vendors, each store carries an eclectic mix of locally handmade, vintage and eco-friendly clothing, jewelry, accesories and home decor pieces.